Attendees at the CUNA Brokerage Services, Inc. (CBSI) Coordinators and Sales Assistant Academy conference in Milwaukee, WI came together Mar. 11-13 and provided much-needed donations of supplies and personal items for troubled youth and their families. 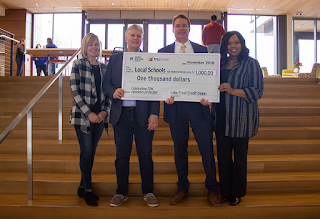 The donations were collected for the Walker’s Point Youth & Family Center, a Milwaukee non-profit that meets the needs of runaways and homeless youth by helping them resolve personal and family problems, strengthen family relationships and support safe and stable homes. 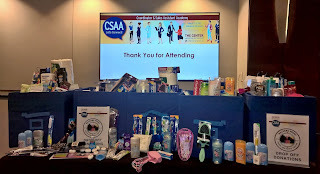 Jennifer Klein, CBSI Learning & Development Manager says that CBSI employees and the attendees at the CSAA conference demonstrated their commitment to making a difference and giving back to the community. “Conference attendees work at credit unions, which have an ongoing mission to meet the needs of people at all levels of society. It’s very much a shared value in our movement and we’re very happy that so many attendees brought donations,” Klein said. Audra O’Connell, Executive Director of Walker’s Point Youth & Family Center, thanked attendees at the opening session of the conference and noted how the organization provides shelter, safety and understanding for young people dealing with a variety of stressful problems. “Teens who come to us for help are usually having serious problems at home,” O’Connell noted. Donations can be made online by visiting https://walkerspoint.org/support-us. For those interested in learning more about youth issues, Walker’s Point Youth & Family Center is affiliated with the National Network for Youth. To illustrate, think about someone who opens a coffee shop. On day one, they sell coffee. When customers go through the drive-thru, the owner asks them what else they want. The next day the owner adds muffins to the menu. Over time, the coffeeshop becomes a restaurant that serves a variety of beverages, food items and gifts – all that the customers said they wanted while giving you feedback along the way. Agile can be intimidating at first. It requires change. Change in how you think, behave and execute your work. Let’s face it, that can be hard. Agile also comes with a whole set of its own terms. There are several methods that can be adopted, depending upon the business problem you are trying to solve. And, because it is a relatively new concept to the financial services industry, education is key – for employees and customers. The learning never stops. The results; however, speak for themselves. An iterative, co-creation process leads to efficient development, aligned work teams, positive customer experience, quality solutions, and a better ability to manage and change priorities. Our results have been both transformational and incremental. For example, product development now takes months instead of years, and when we determine through testing that something isn’t adding value for our customers, we stop working on it. In addition, employees feel empowered to identify improvements and adopt new ways of working so they can deliver value faster for our customers. Not only are credit unions excited about the products and services we’re building, and how they’re part of it, they’re excited about how they can start embracing this thing called “agile” and reap its benefits. Members willingly give away their personal and financial information and then get tricked into authorizing wires, ACH, plastic card and other types of monetary transactions. Protecting members from themselves is a tricky proposition. Recognizing scams can be difficult for both you and your members. But you can slow the growing rate of scams by remaining vigilant and continuing to provide awareness and great member service. · The average user receives 16 malicious emails per month (Symantec 2018 Internet Security Threat Report) with the fraudster looking to trick the individual into giving access to account, login, or financial information. A primary factor is whether a victim finds a fraudster’s story convincing—and to what degree. A good scam artist provides enough information and urgency to compel a victim to act quickly. Unfortunately, with an aging population, perpetrators are preying on the elderly, who tend to let their guard down more easily. - Familiarize yourself with the most common scams using tools such as CUNA Mutual Group’s Emerging Risks video series, RISK Alerts and Protection Resource Center. - Educate members about known scams in one-on-one settings, during community events, and on the credit union’s website or in the newsletter. · If you suspect a member has fallen victim to a scam, respectfully share your concerns with the member. Hopefully this will remedy the situation but be prepared with information and examples of scams. CUNA Mutual Group’s Risk & Compliance Solutions also helps you stay at the forefront of loss trends and prevention strategies by providing educational resources. Check out the Consumer Scams emerging risk page to learn more. We’ve reached a significant milestone on our journey to becoming a more consumer-centric organization: more than 20 million people are now protected through TruStage insurance products. 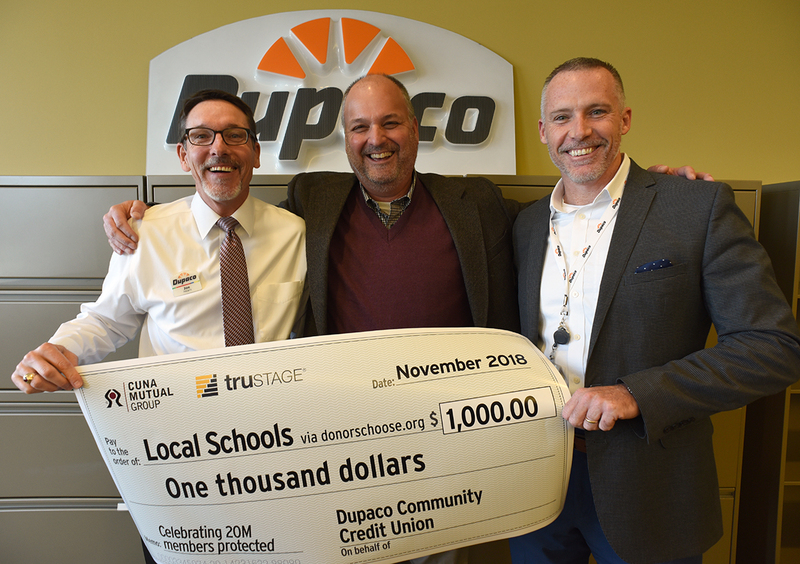 Working alongside nearly 4,000 credit unions, TruStage has helped Americans build financial security for themselves and their families. 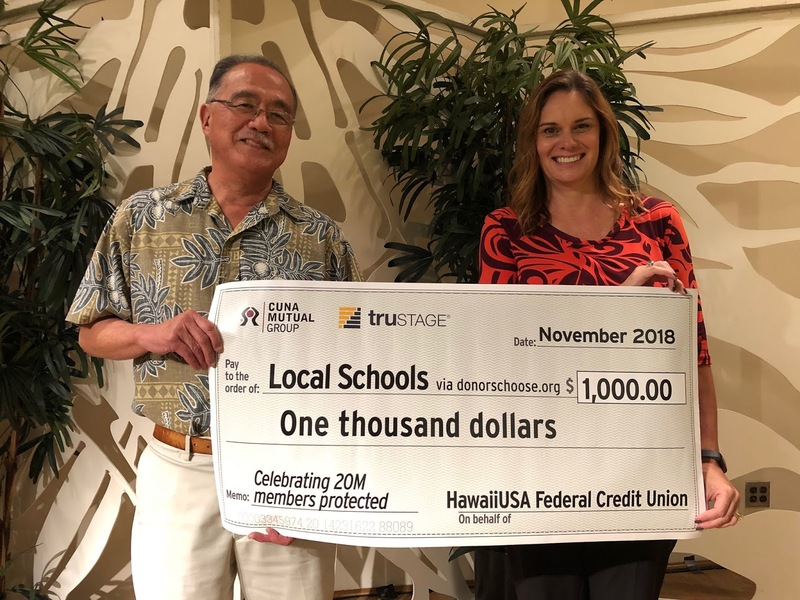 Because credit unions do so much to support the financial stability of families in their communities, we knew the best way to celebrate this milestone was by giving back. As a token of our appreciation, we donated $20,000 to DonorsChoose.org on behalf of 20 U.S. credit unions with the most policyholders (to date) for their contributions in helping us reach this major milestone. 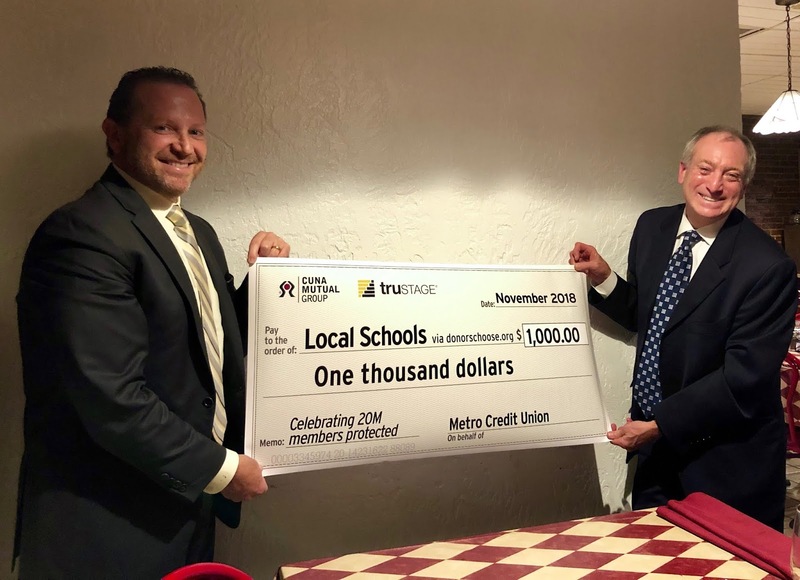 Each credit union is using the charitable gift to support projects at local schools in the communities they serve, allowing many students access to technology, resources and equipment that wouldn't be an option otherwise. A big thank you to credit unions for all you do to protect people from all walks of life. Together, we’re making a critical difference. The combined generosity of CUNA Mutual Group employees and the CUNA Mutual Group Foundation will provide a $1.7 million benefit to nonprofits in Dane County and other communities nationwide where employees reside. 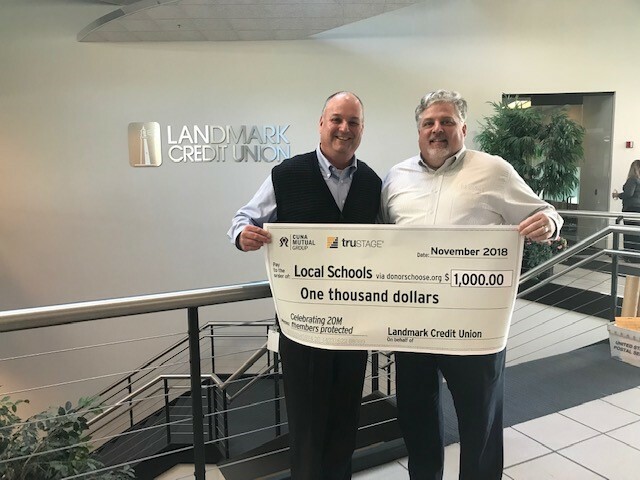 The funds were pledged over just four weeks during the company’s Employee Giving Campaign, which concluded Nov. 30. 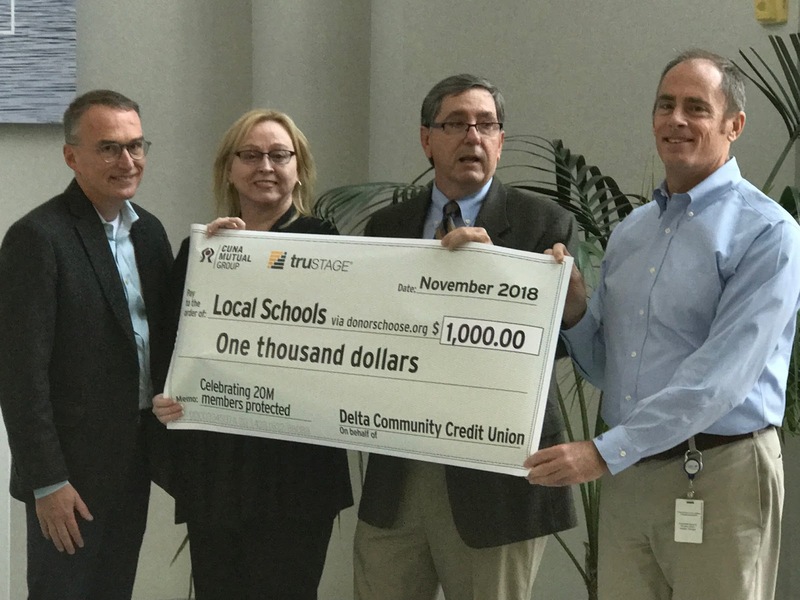 CUNA Mutual Group’s 3,300 employees were invited to donate to an eligible 501(c)(3) organization of their choice, including United Way. 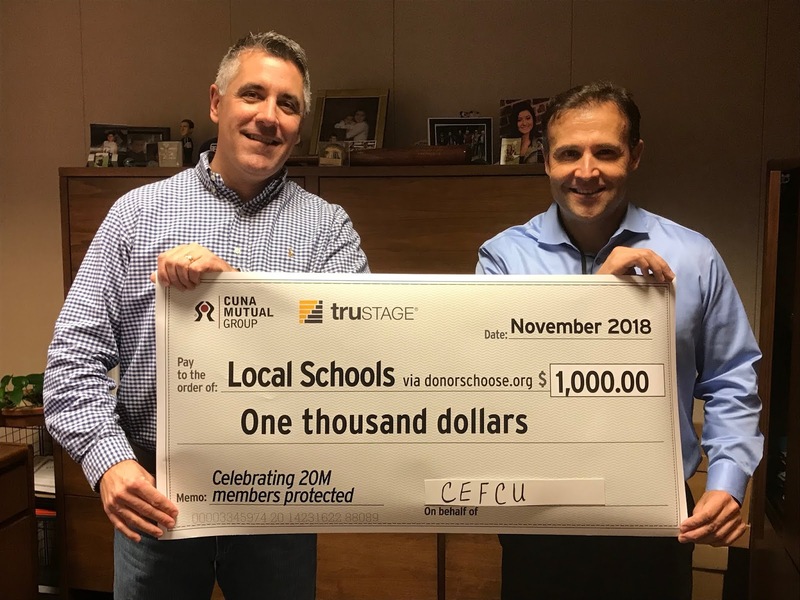 All eligible donations made during the pledge period received a dollar-for-dollar match from the CUNA Mutual Group Foundation. 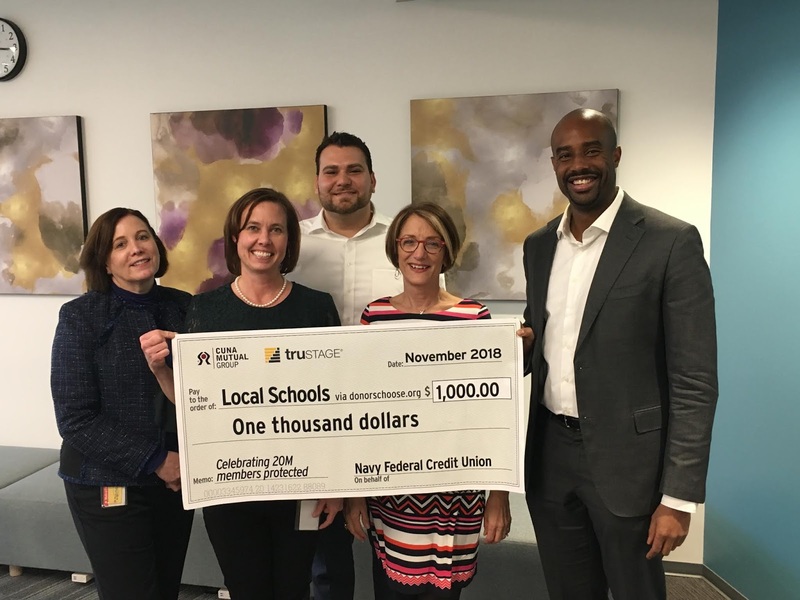 “We expanded giving options this year based on employee feedback and, not surprisingly, people showed incredible excitement, passion and commitment,” said Cedric Ellis, executive vice president of enterprise services, and president of the CUNA Mutual Group Foundation. 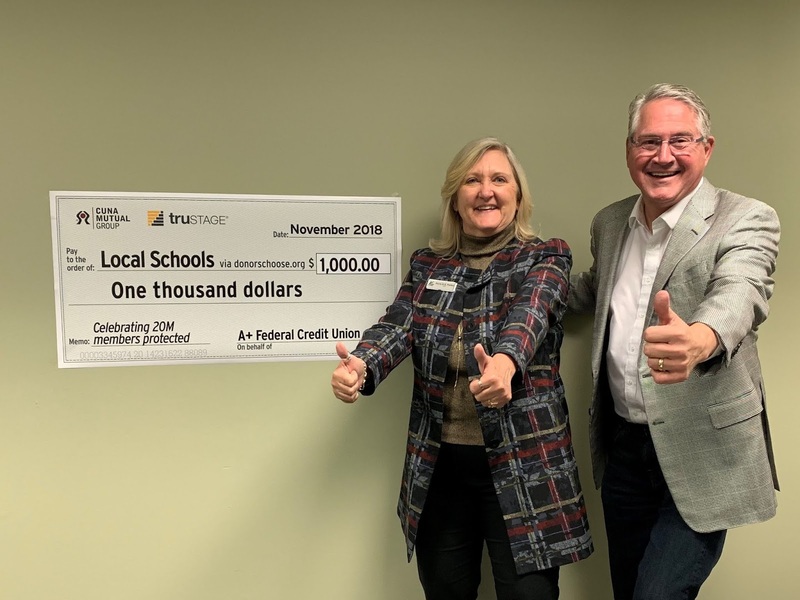 Employees pledged approximately $650,000. The Foundation matched $600,000 and contributed an additional $450,000 to the 2018 fundraising campaign for United Way of Dane County. The funding will assist myriad organizations of employees’ choosing. These include organizations and programs committed to schools, youth, health, animal welfare, food and housing stability, community outreach, military veterans and more. 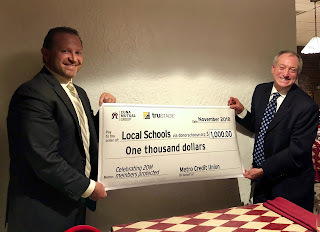 The month-long event also presented opportunities for non-financial giving. “Employees donated canned goods and numerous other food-related items to the River Food Pantry in Madison and purchased more than 400 “wish list” items for individuals at the Mendota Mental Health Institute.” And as usual, employees volunteered their time at various nonprofits. Nearly 14,000 combined volunteer hours have been logged so far in 2018 – a hefty 65 percent increase from 8,500 hours in 2017. The Foundation and its mission continue to evolve, Ellis added. Over the past three years, CUNA Mutual Group has increased its focus on diversity, equity, and inclusion efforts. Filtering the Foundation’s work through this lens has produced positive and often unexpected outcomes. The same is true for corporate social responsibility and how CUNA Mutual Group serves the nonprofit community. 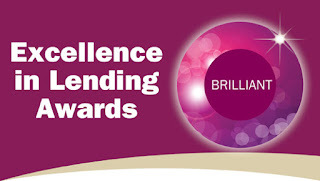 TruStage, our consumer insurance brand, has launched its Community Spark Awards. The competition will recognize 20 exemplary young people from coast to coast who are actively taking strides to improve their communities through volunteer and community service activities. TruStage will donate $1,000 to the charity of each winner’s choice in support of Giving Tuesday on November 27, 2018. Visit the contest page for full details. ANAHEIM, Calif. – Six credit unions were recognized for their exemplary lending practices and results in business lending, consumer lending (including home equity), and low-to-modest means lending today by receiving an Excellence in Lending Award during the 24th Annual CUNA Lending Council Conference. 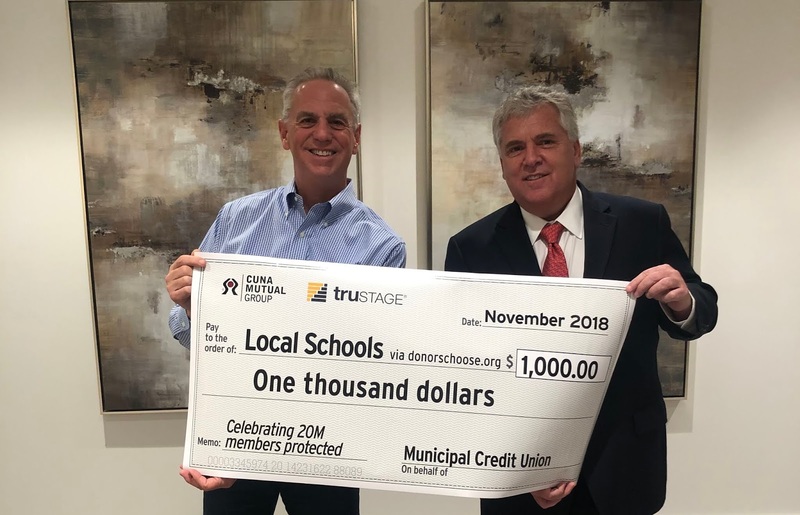 CUNA Mutual Group, with support and expertise from the CUNA Lending Council, recognized credit unions that implemented outstanding lending programs while demonstrating sound financial performance. Frankenmuth Credit Union, Frankenmuth, Mich., Low-to-Modest Means Lending, Assets more than $250 million. This annual awards program provides an opportunity for credit unions to share best practices and ideas, network, and celebrate lending excellence across the industry. Applications were evaluated on: strategy, programs, and performance. All CUNA-affiliated credit unions in the U.S. were eligible to win. Making a Big Impact Helping "Littles"
In 2016, Katie Orlando, former executive director Big Brothers, Big Sisters (BBBS), had an idea to pilot a program called “Beyond School Walls” in the Cedar Valley. 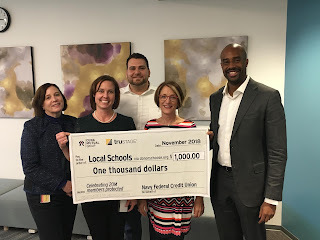 The program, which connects at-risk youth with workplace mentors, saw big success on the East coast, and Katie was eager to find a “testing ground” in the Midwest. CUNA Mutual Group seized the opportunity, and two years in, the program is going strong. See how this program is changing the lives of those who participate. Every other Tuesday, BBBS busses “littles” to the CUNA Mutual Group campus in Waverly, IA, where they spend 90 minutes with their “bigs,” whether it’s participating in site-based activities, getting help with schoolwork, playing games or simply talking. Through this program, students get an opportunity to become familiar with the workplace and make connections with lifelong role models. “Our mission at Big Brothers, Big Sisters is to provide children facing adversity with one-to-one, professionally supported and enduring relationships that will change their lives for the better, forever,” said Jenna Mumm, Program Manager, Big Brothers, Big Sisters of Northeast Iowa. This program is gaining momentum nationwide, and according to the BBBS of America, youth in communities that have participated in this program show improvement in school behavior, overall grades, self-esteem, communication skills and their desire to learn new things. Whether it’s in a group or individually, you can always make an impact on your community by supporting local non-profits. Tell us what volunteer opportunities you participate in on Facebook or Twitter.